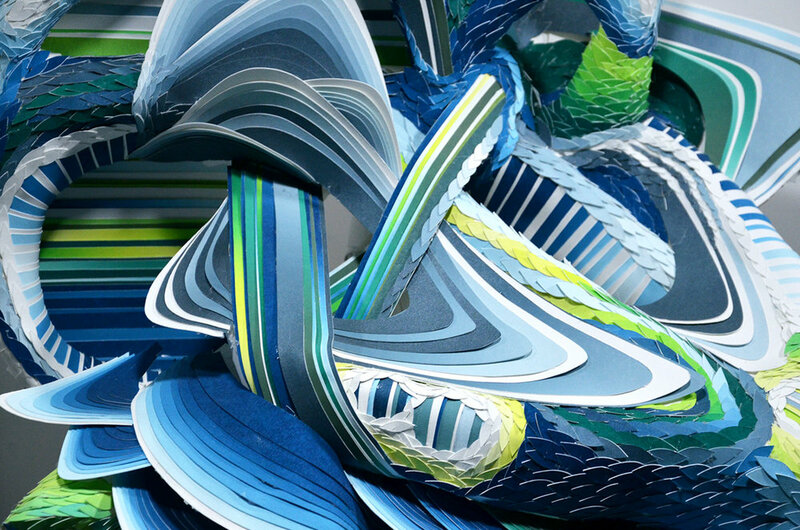 Seattle, WA - Treason Gallery is pleased to announce it’s March solo exhibition, Crystal Wagner: NEXUS. Crystal Wagner’s work is one part ethereal and one part imaginative. 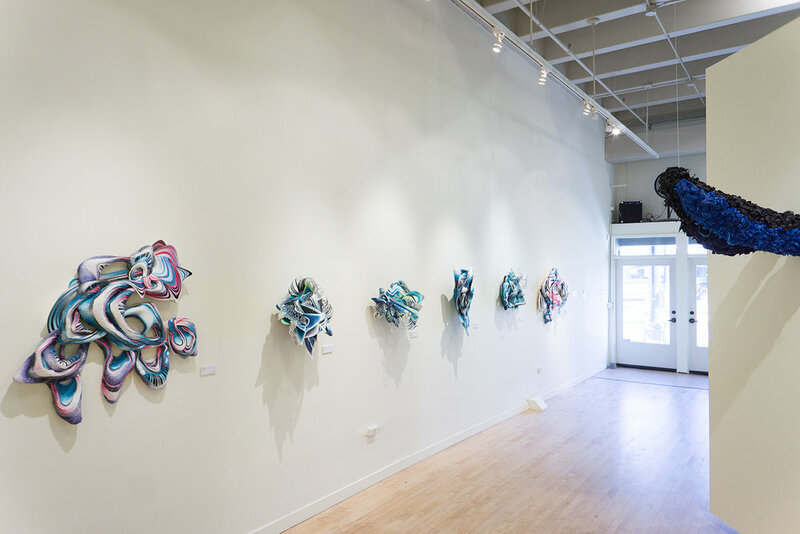 Using a process deeply rooted in her instinctual reactions to space and environments, Wagner creates biological “growths” out of mixed mediums of non-organic materials. As naturally as vines overgrow the surfaces they interact with, Wagner’s bioforms seem to have a life of their own. Her works evoke a unique mix of feelings, with their combination of exotic ecological familiarity and natural beauty. NEXUS will consist of Wagner’s newest body of work, created exclusively for her Pacific Northwest debut at Treason Gallery. 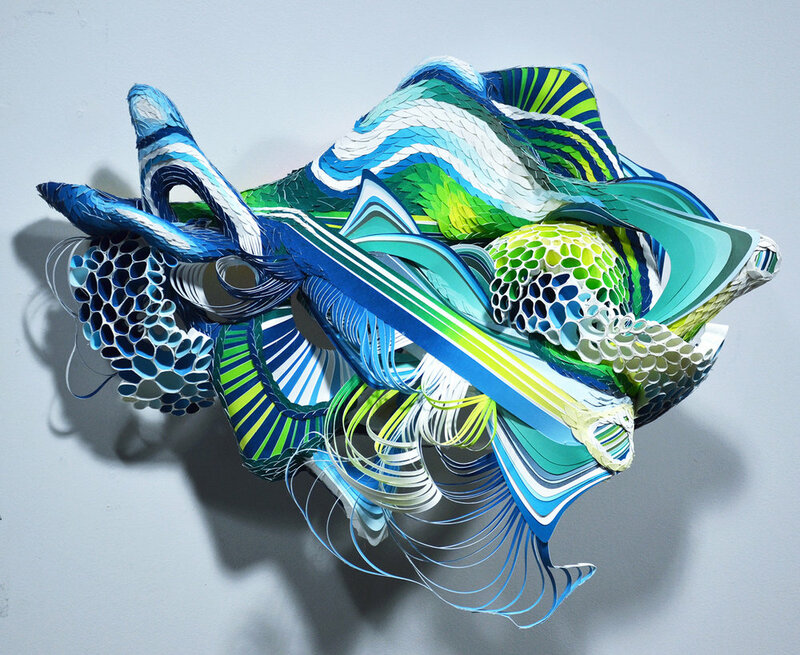 The new works are consistent with the palettes found regionally: blue and green tones that splash across hand cut sculpture. 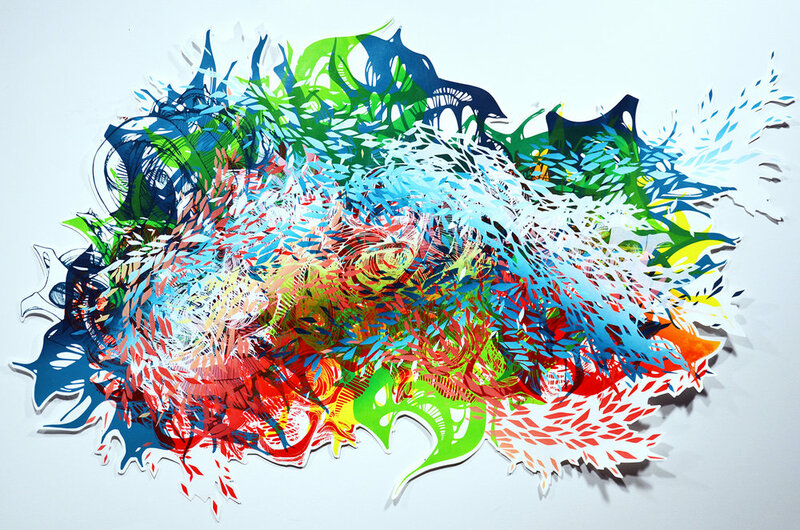 Wagner’s primary medium is Legion Paper, which she hand paints prior to constructing her bioforms. 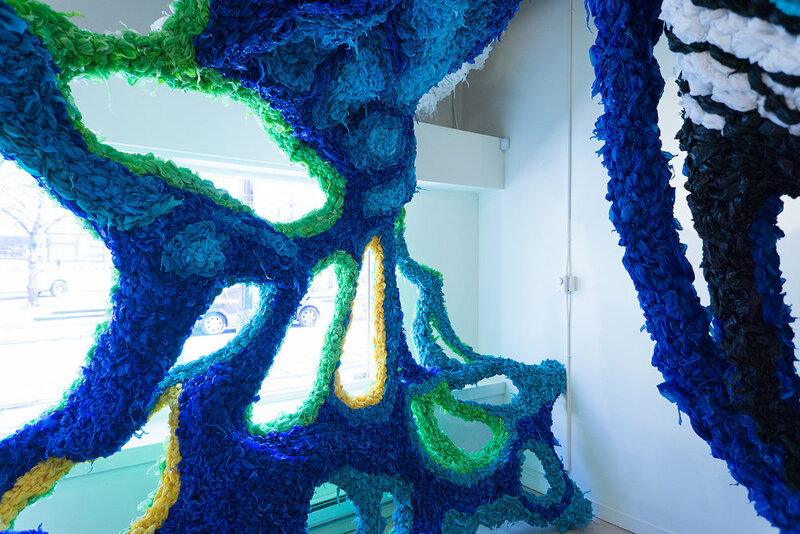 Wagner debuts her highly anticipated site-specific installation constructed inside the gallery space. The installation will encourage viewers to consider their place in the surrounding environments in which they interact. Over the course of the last two weeks prior to the exhibition, the installation has “grown” to completion. NEXUS seeks to be an interactive and thought provoking exhibit for all who attend. 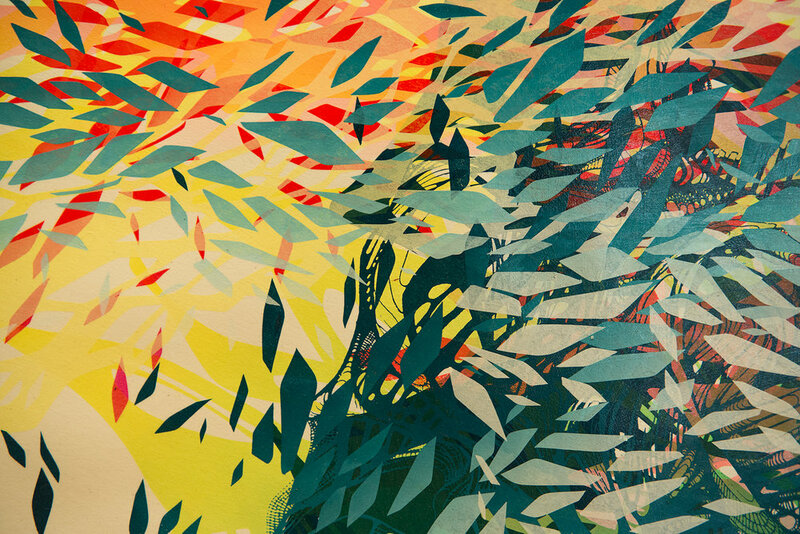 Screen print on Legion Paper - Edition of 35 - 15" x 22"
Crystal Wagner received her MFA from the University of Tennessee in 2008, her BFA from the Atlanta College of Art in 2004, and her AFA from Keystone College in 2002. After teaching as a college art professor for five years, Crystal left academia to focus exclusively on her studio practice. 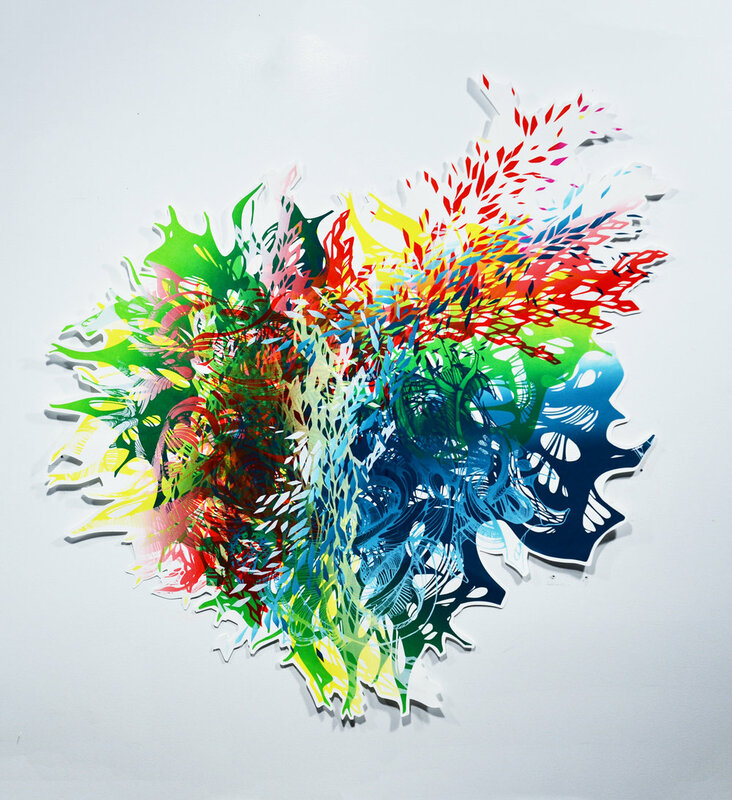 Wagner’s interest in combining 2-dimensional and 3-dimensional forms, alternative use of materials, and hybrid approaches to printmaking, and massive site-specific installations, have led to her artwork being exhibited exten-sively in the U.S and abroad. Her most recent com-missions include a large-scale installation for the internationally recognized band The Flaming Lips. a large shadow box for GNU a snowboard company out of Portland, OR, a large-scale installation piece for NIKE, presented in the Shrine Auditorium for The KOBE X Blackout Experience, and most recently two installations for Viacom, one of which is a 117 ft piece at thier headquarters in Times Square.It was featured by the New York Times and was broadcast on national television on VH1’s Top 20 Countdown.